Settings on the Windows printer and Mac’s printer are not the same and Windows settings do not influence mac’s settings. If you need to print in black and white in Mac then you will have to go through the following steps as given below. 1 How to print black and white on Mac? 1.1 If options are missing to print black and white on Mac? 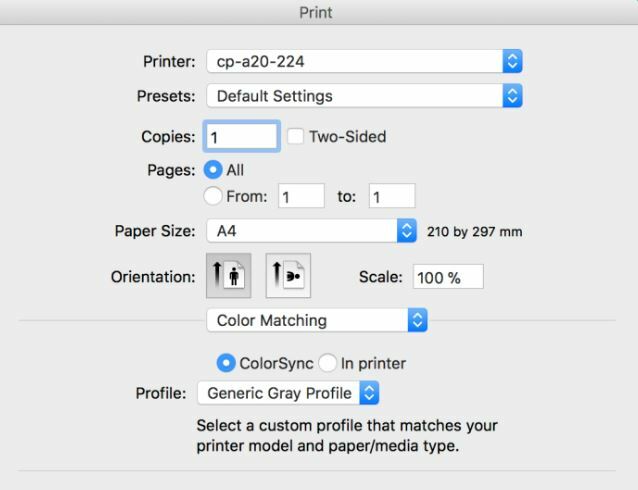 2 How to print a PDF in black and white in Mac? How to print black and white on Mac? This filter is used nowadays by many people and many printers support this feature also. B&W printing also helps to simply boost the contrast of documents but as well as allows you to reduce the amount of ink used by the printers. 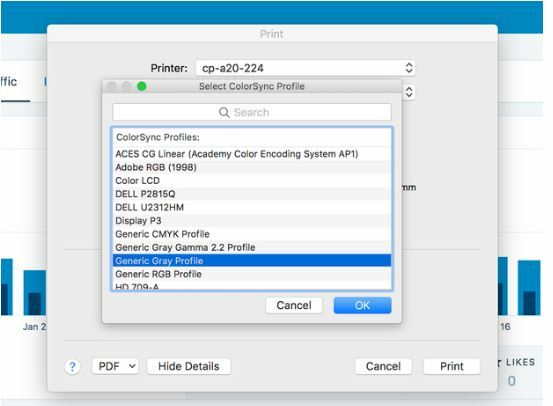 To print in black and white is quite easy but this task gets cumbersome in printing settings, depends on the printer that a Mac device is attached to. Some printers make this task very easy as you can print in black and white by directly going on the black and white toggle box, then check it to print in black and white. Go to the file menu and choose print from the webpage, document, file whatever you wish too. Now, select the printer you would like to use. 1 printing option:- directly check the black and white toggle box and if available click on it. 2 printing option:- if no toggle box is available then find the black and grayscale printing options. Sometimes you can see black and white options under “Colour Options” as mono or “Black Cartridge Only”. This all depends on the printer drivers and the Mac OS version used. Lastly, save your file wherever you want. But ensure that “PDF” is used as output format. After doing all these steps you can open the pdf on your screen, which will display the color which you have selected. This is done with help of QUARTZ filter. This gives the ability to use centralized like plugins and we can apply this on graphic content easily. This feature or filter is applied to content in the preview when you export it as a pdf, so we can use this to limit colors in an exported document. At last from above we can see it depends on the printer drivers and filter or software installed in our desktop if all this done properly then we have to follow some steps so our desired data will be printed in black and white. As we all know printing in black and white was quite easy in the 1990’s as at the time the colorful printers were not there.